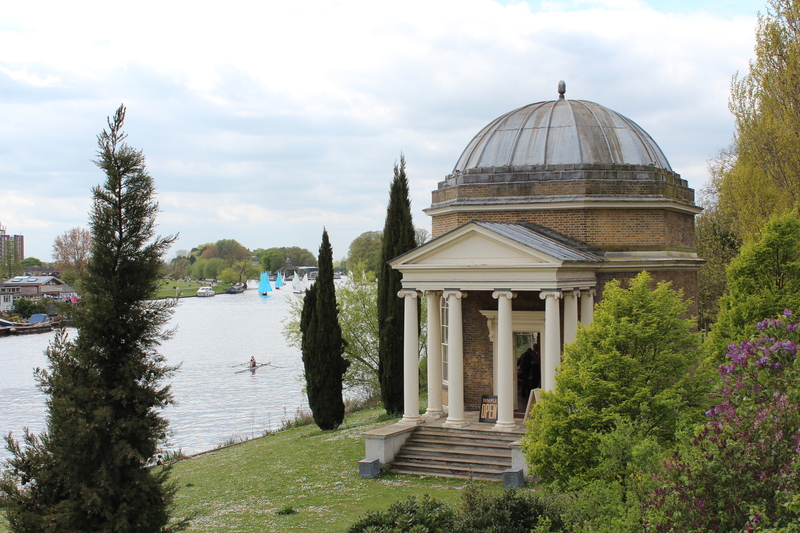 Undoubtedly one of the prettiest sites that The Londonphile has visited, Garrick’s Temple to Shakespeare stands alongside the Thames at Hampton. 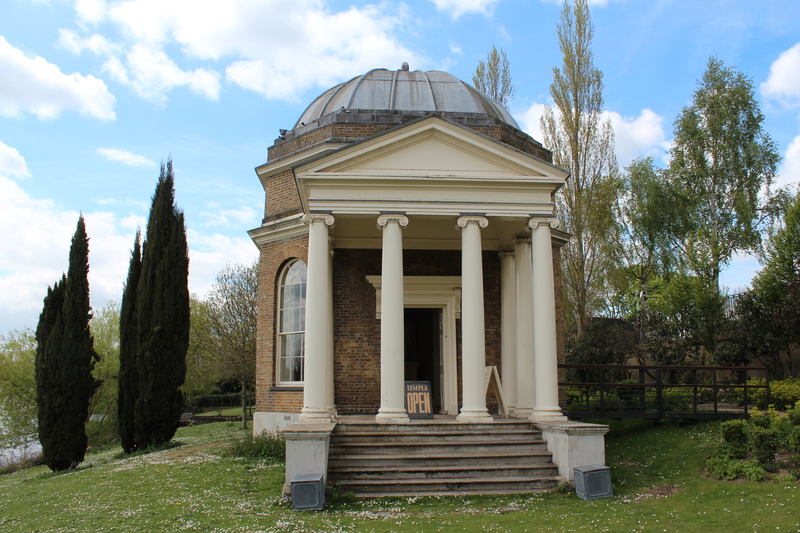 This Palladian temple was built in 1756 by actor-manager David Garrick in the riverside gardens of his home, Garrick’s Villa, as a monument to the Bard. While the original life-size statue of Shakespeare by Huguenot sculptor Roubiliac moved to the British Museum some time ago under the terms of Garrick’s will, a reproduction was installed as part of the major restoration of the temple that took place from 1997-1999. 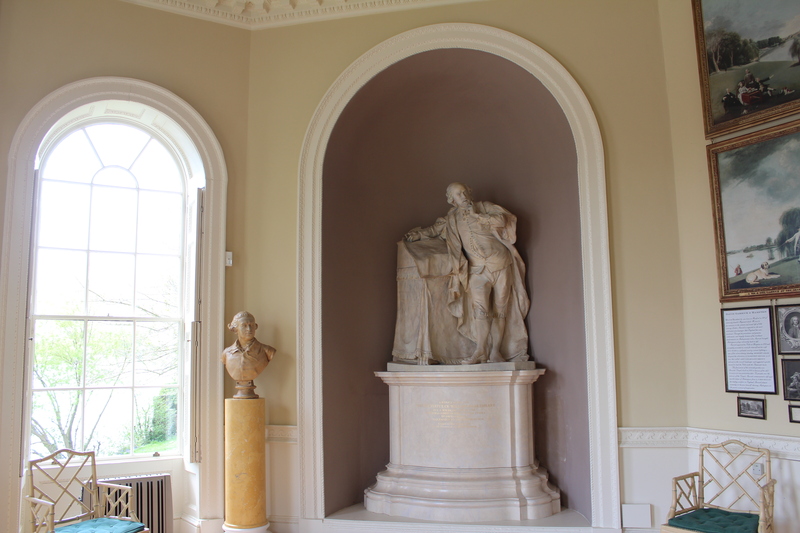 Also found inside the structure today is an exhibition about Garrick himself, featuring a number of reproductions of works by major 18th century artists, including Gainsborough, Reynolds, Hogarth and Zoffany. 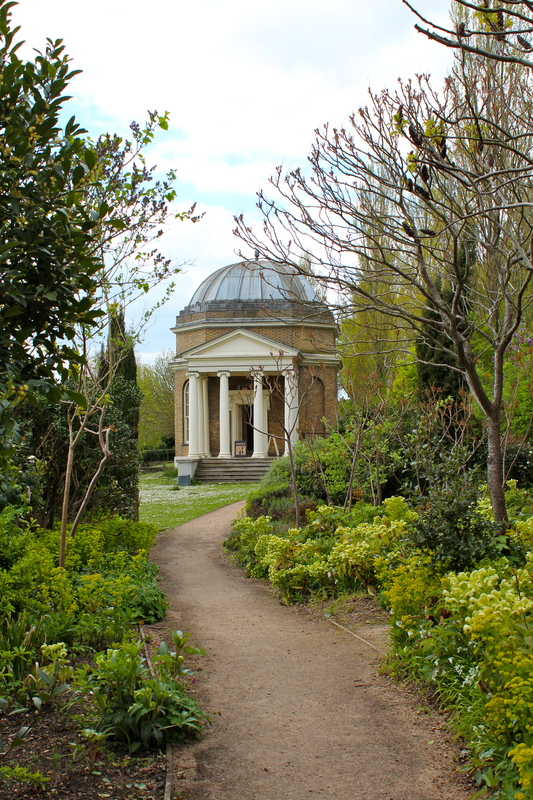 Even in Garrick’s time, his villa (pictured below) was separated from the temple by the road – though it was presumably much less busier back then… A tunnel under this road was used by the Garricks to gain easy access to their garden – it still exists but is not accessible to the public. 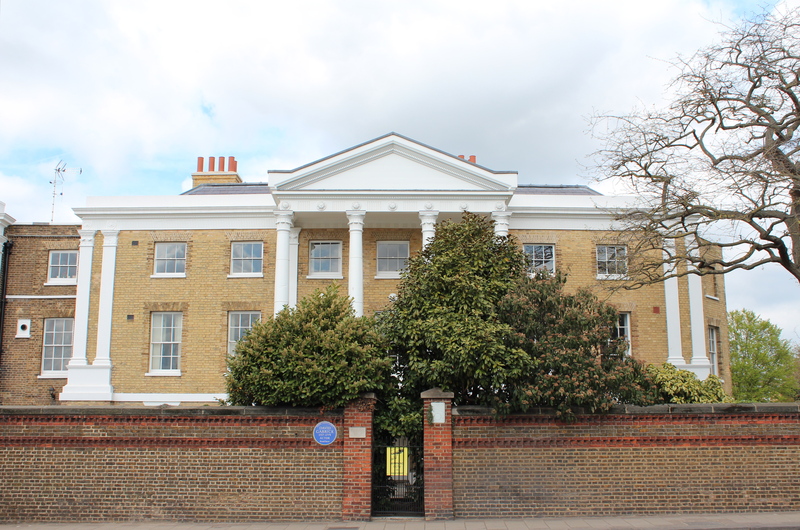 Today, the villa – which narrowly avoided demolition at the start of the twentieth century – has been converted into apartments and was badly damaged by fire in 2008. 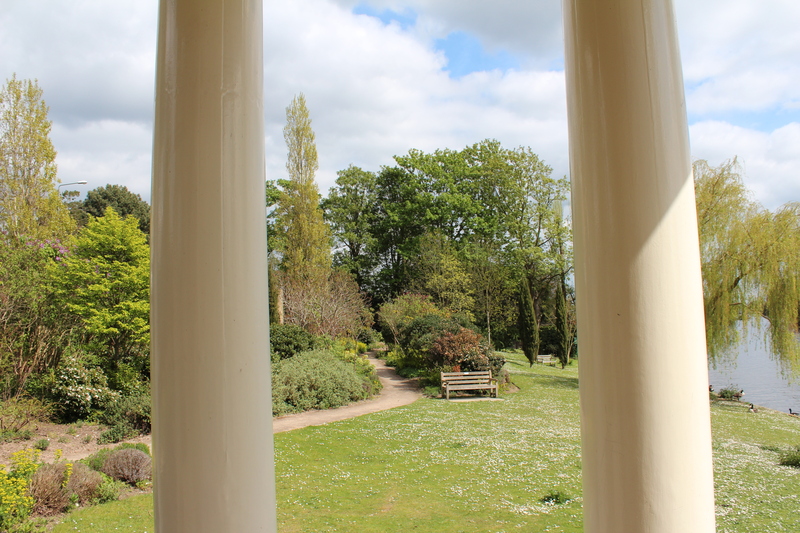 The riverside land surrounding the temple was sold off by the villa’s owner in 1923, separating temple and villa. 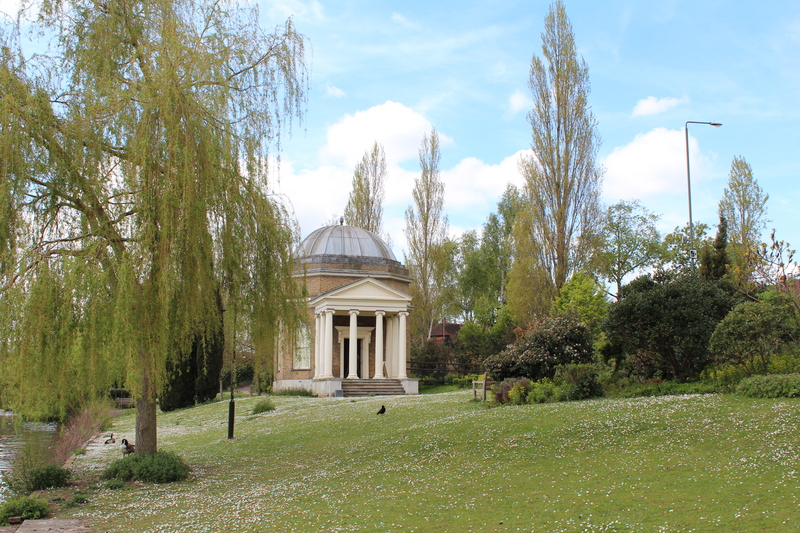 The temple’s new owner built a house directly adjoining it – happily, this was demolished in 1932 following a public outcry that caused the council to purchase the land. It is still owned today by Richmond Council. 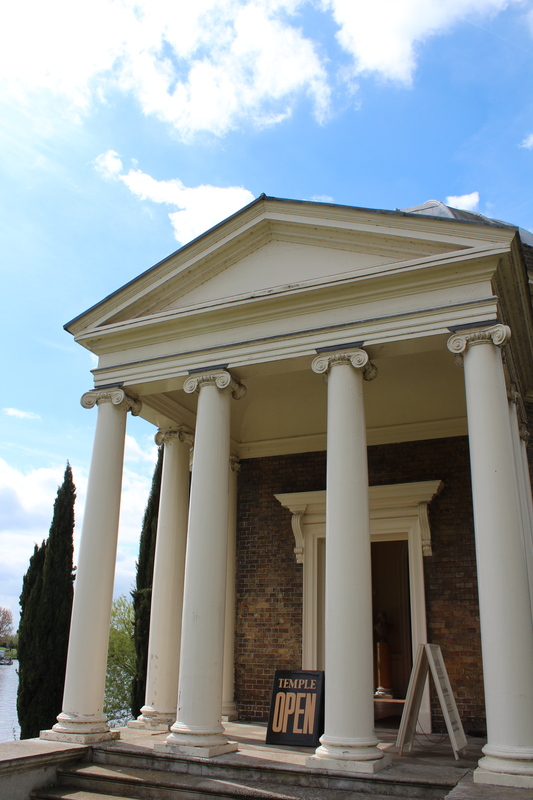 The temple is open to the public – free of charge – on Sunday afternoons (2-5pm) from April to October, and will also feature in the year’s Open House event on Sunday 22 September from 11am – 5pm. From Hampton Court Station take the R68 bus, from Hampton the 111 or 216, or from Hammersmith the 267 (from May to September only).